Detectives from Police Scotland have issued CCTV images of car they wish to trace as part of the ongoing Brian McKandie murder investigation. 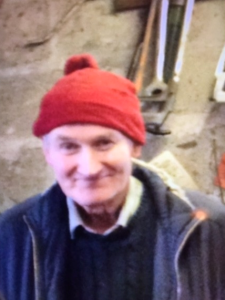 Detectives investigating the murder of Brian McKandie in Rothienorman have again appealed to the public for assistance to trace various vehicles which were at his address prior to his death. Mr McKandie was attacked at his home at 4 Fairview Cottages, Badenscoth, Rothienorman, on Friday 11 or Saturday 12 March 2016 and was found dead there on the Saturday. Detectives have now issued CCTV images of a vehicle they are keen to trace. Witnesses have described seeing various vehicles being at Mr McKandie’s address during the course of 11th March 2016 and, despite repeated appeals to the trace the users of the cars, they remain unidentified. 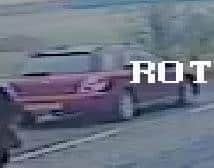 We are keen to identify the drivers of an old style silver Ford Fiesta motor car and a burgundy / maroon coloured estate car, possibly a Volvo, both of which have been seen at the address on 11th March 2016. Both these cars may have been at the address for legitimate social or business reasons. We also believe a number of customers or friends of Mr McKandie who may visit him from time to time have yet to come forward. Additionally, some CCTV footage from approximately 1 mile away shows what appears to be a red coloured Subaru WRX Impreza Sports Wagon motor car travelling on the B9001 about the time of sightings of the maroon estate car at Mr McKandie’s address. We are also keen trace the owner of this car given its similarities to the description of the estate car at Mr McKandie’s address and the images from the CCTV are attached. It is requested that anyone with information which could help identify the vehicles which were at Mr McKandie’s address that day, any customers or friends of Mr McKandie not yet seen by the enquiry team, or the identity of the red coloured Subaru WRX Impreza Sports Wagon motor car in the images, are asked to contact Police Scotland on 101 or Crimestoppers on 0800 555 111.